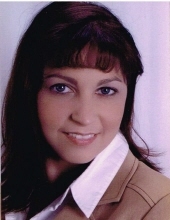 Stephanie Ann Elko, 48, of Blue Bell, PA passed away peacefully at home on Saturday, February 2nd, 2019. Born in Norristown and graduated from Methacton HS in 1988. Stephanie worked in Real Estate, she was the owner/operator of Family Affair catering and for many years worked for River Chasers. Stephanie is survived by her fiancé, Mike Beaver; her son Tyler Beaver; mother, Bobbe Golas; father, Walter Golas; 3 brothers, Walter Golas Jr., Michael Golas and Robert Golas; sister, Rea Golas and x husband, Paul Elko. Relatives and friends are invited to attend a visitation from 9-9:50 a.m. Saturday, February 9, 2019 followed by a funeral mass at 10 a.m. at St. Paul's Catholic Church, 2007 New Hope Road, East Norriton, Pa 19401. Interment will be private. To send flowers or a remembrance gift to the family of Stephanie Ann Elko, please visit our Tribute Store. "Email Address" would like to share the life celebration of Stephanie Ann Elko. Click on the "link" to go to share a favorite memory or leave a condolence message for the family.